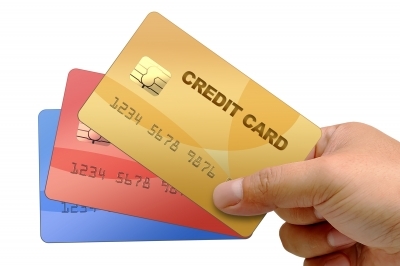 Are the Days of Online eCig Purchases by Credit Card Numbered? I’ve been following some seriously troubling online rumblings throughout most of today. It appears that starting on January 1st, some folks have run into problems purchasing from e-cigarette retailers using a credit card. The first rumblings of this came via a YouTube video from a person in Oklahoma. At first it seemed isolated, and Oklahoma has had an interesting relationship with e-cigarettes as of late. Eventually, more people stepped up from other states indicating they too had purchases that were denied. These people were informed by their banks there was some sort of change in the law effective January 1st. Most people have not had problems purchasing products from online or local merchants, so the problem doesn’t appear to be systematic. I selflessly made a purchase today at MadVapes, you know, in the name of journalism. My order went through just fine. It seems to me if this were a law and the major credit card companies knew about it, pretty much every Visa and Mastercard purchase would have dried up instantly. This is indeed a strange happening. What it appears to be now is that either some banks or a nervous card processor has decided to lump e-cigarettes into this act out of an overabundance of caution. After all, who’d want ATF agents busting down their boardroom doors? You may also like: Deal of the Moment 30% Off Lavatubes Including Stainless! At this point, it’s likely too soon to declare online sales dead (so yes, my headline is a little exaggerated, but this stuff is important). Hopefully, it can be clarified and processing returned to normal once again. But, this is one mother of a cautionary tale. What it shows is that e-cigarettes can effectively be banned without the FDA lifting a solitary finger. If the opponents are somehow able to get Mastercard and Visa to comply at the top level, that would certainly cripple the industry as we know it now. I will update this piece as more information comes around, but this is the sort of thing that’ll keep me up at night. What about you? Do you think this is all blown out of proportion, or is this a looming weapon of mass destruction pointed straight at the small businesses that make up a large portion of the industry? Let me know in the comments section. What Don’t we Know about Nicotine? Some Interesting Insight.